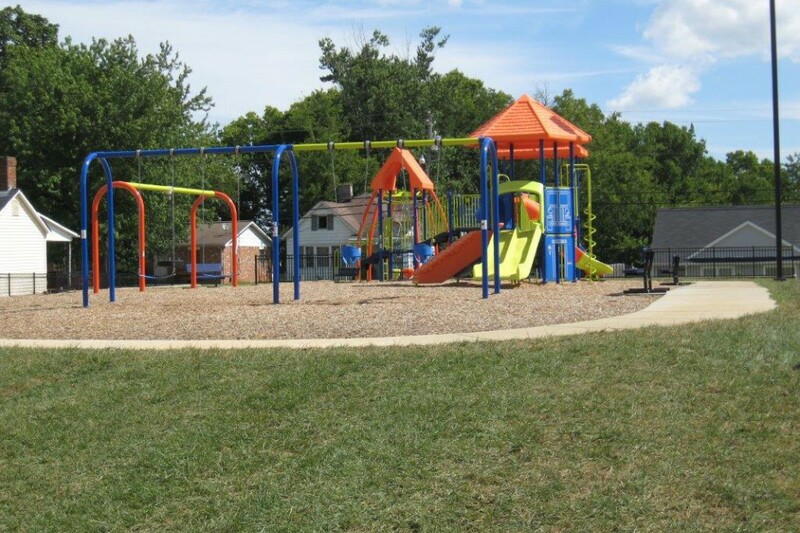 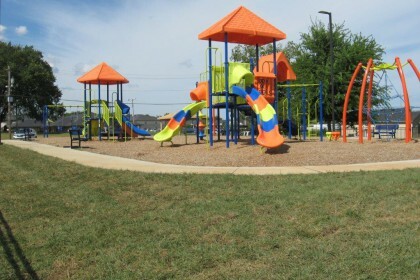 Featuring a brightly-colored, brand new playground, this park is sure to catch everyone’s eye. 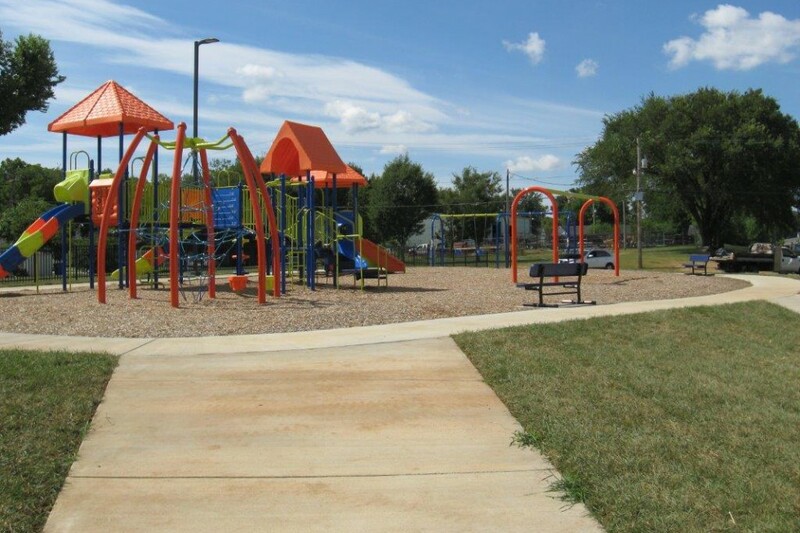 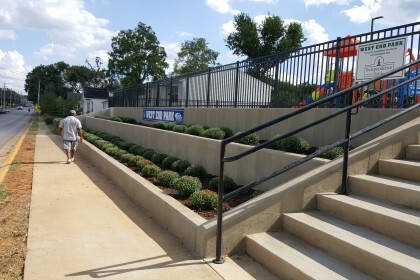 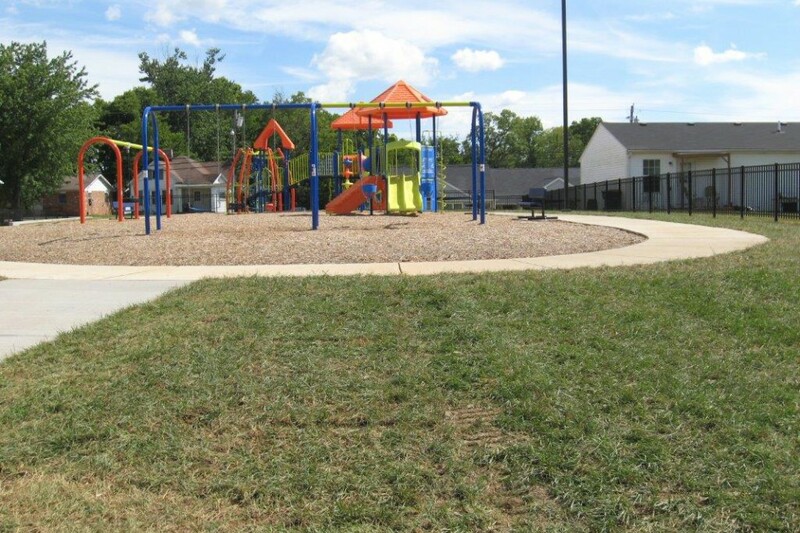 At this park you will find one basketball court available for a game of pick-up with friends or family and a new playground that was completed in the fall of 2015. This eye-catching playground has two jungle gyms, one for ages 2-5 years and one for ages 5-12 year, which include multiple slides, swings, a tire swing, and a climbing rope. The park also has a walking track for people of all ages to enjoy, a water fountain, and picnic tables. A shelter will also be built soon that can be used for family gatherings, birthday parties, and many other celebrations.